A couple of months back, the brother and I went to Resorts World Manila for the special screening of Man of Steel. Since it's the brother's first time at RWM, I decided to go there early so we can check out the stores and eat prior to the movie screening. 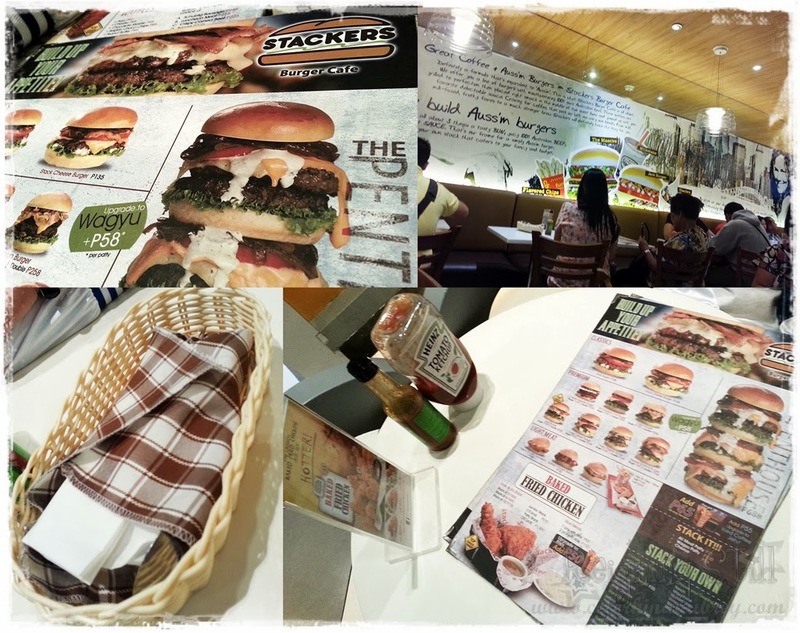 Checking out the restaurants in the place, the brother opted for Stackers. It's a restaurant that offers yummy looking burgers and fries and chicken. So we decided to try it out. Plus they are not that crowded by the time we dine in. The food is great. I loved everything we ordered. My burger is juicy and yummy. 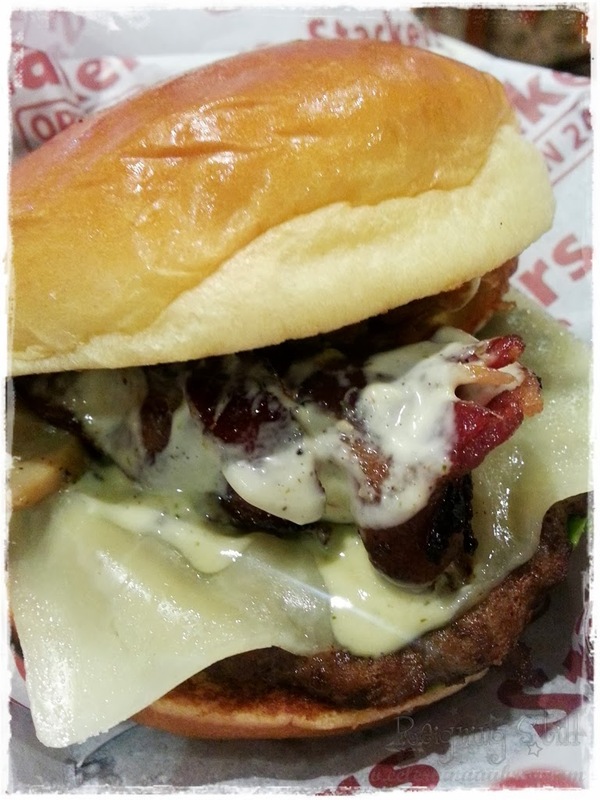 Oozing with cheese and bacon made it extra especial. The brother's fried chicken is also very delicious. It's tender and not too bland. I like that even the white meat tastes good. And the fries are also good. Both the flavored ones and plain ones. They are not too salty also. 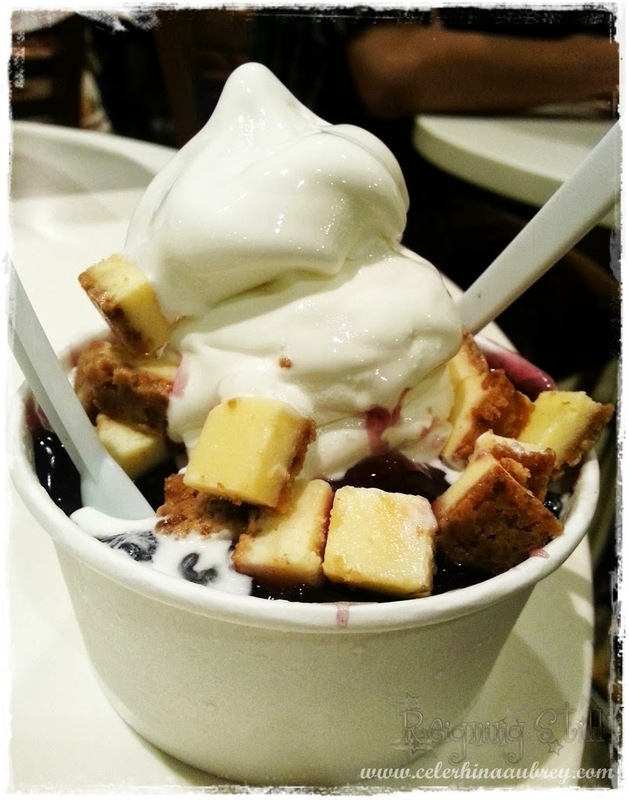 and I specifically loved the blueberry cheesecake yogurt. Those cheesecake bits are to die for!!! I really loved it. But allow me to mention our not so good experience. I've been telling you guys that I am really very specific on customer service. Even if you give me the best food in the world, if you have shown poor customer service, do not expect me to pay you another visit. EVER! 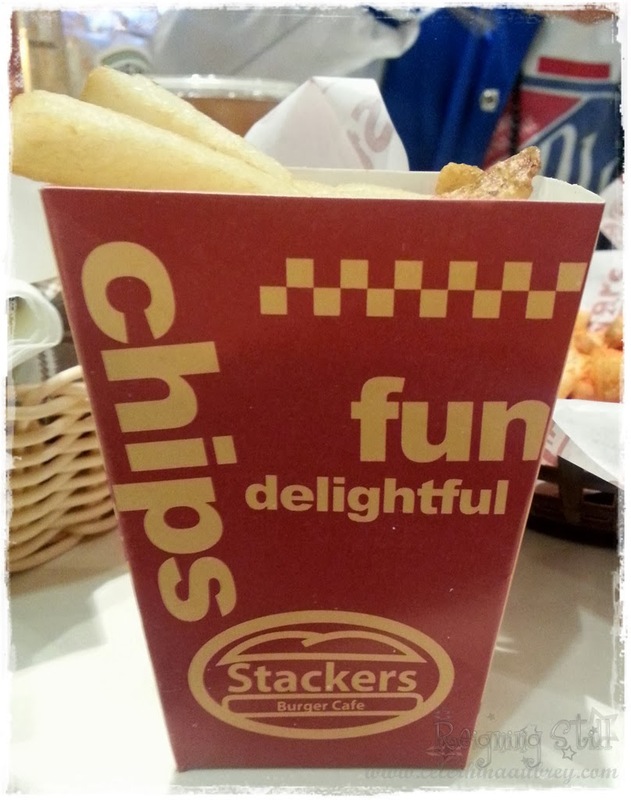 And that's exactly what Stackers RWM did to us. First, we we're seated to a cramped 2 seater table. It's a circular table na sobrang liit. All our orders didn't even fit. Although it's okay for me coz, the place is a little small. Maybe they are maximizing the area. Second, it took them forever to attend to us! After ushering us to our seat, we were given the menu. I was waving frantically for someone to attend to us pero they are deadma. I know they already notice me kaso may kasabay kaming foreigners na tatawag, and inuuna nila yun!!! Promise! I was like, it is discrimination I'm experiencing? And I'd have to follow up our orders many many times. Especially the dessert. I asked them kasi to serve it later after the meal. I would usually do that kasi sayang naman the dessert if served earlier tapos you won't be eat it right away. And on other restaurants, once they noticed that you are almost done with your meal, they are the one's who'll approach you and ask if you want the desert to be served already. May kusa. 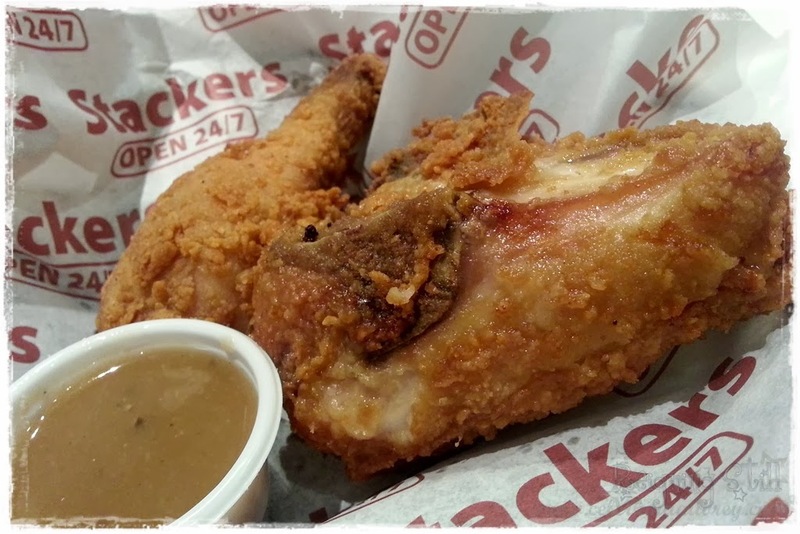 And since Stackers is not like that, I asked for their waitress to serve it to us already. That is after waiving my hands for a couple of minutes ah. Then I noticed that the first waitress I talked to didn't get anything from the kitchen. After talking to me, she went to another foreigner customer. 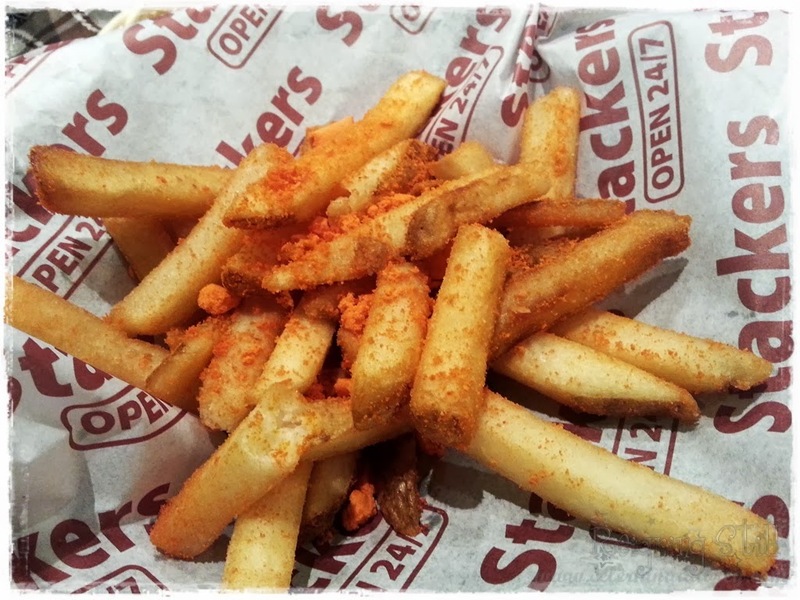 By the way, that time, Stackers has loads of foreign customers. So I had to follow up. Promise! I am on the verge of shouting. Coz I can't believe they are treating us like that. If I'm not with my brother, makakatikim sila talaga sa akin. Kaya lang I'm with my brother who keep on telling me to just let it go. Pero kahit sya nagsabi na "Oo nga ate. Bakit tayo lang hindi nila masyado pinapansin? Eh mas madami nga order natin sa mga foreigners na yun oh.". Which is like, EXACTLY! And besides, we are paying customers naman. So bakit? Another thing is, sobrang tipid nila to give us a smile. Tapos they'd talk to us na parang okay lang. Buti pa nga crew ng Jollibee laging naka smile eh. And sa amin lang sila parang ganun. OMG! Discrimination talaga. I am never going back. Ever.